Many homeowners today are looking for cost effective and speedy ways to sell their home. While there is no failsafe way to guarantee this outcome there are many things you can do to help in the process. 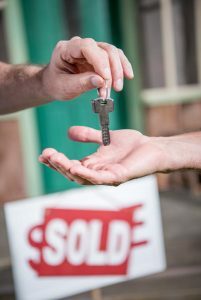 Read on for tips on how can I sell my house fast. The key to this process is being an educated house seller. This tip is very important and may require much preparation and research. However the time you put in is well worth the effort to increase your chances of having a successful sale quickly. There are many free and low cost resources around with useful information on buying and selling property. Make sure to choose reliable and objective resources in order to educate yourself. The Internet has a number of websites that allow you to look for houses selling in your area to help you decide on the selling price. Look for houses that are similar to yours in lot size, square footage of living space, number of bedrooms and bathrooms, etc. Staging your home for sale is a good way to make it sell faster. Some quick and easy tricks for staging are: clean out all the clutter, remove personal pictures and objects, groom the yard to look its best, store all extraneous furniture to simplify the look of each room and to make the rooms look bigger. If you are unsure what to remove or need a second opinion ask your realtor or look for a staging business in your area. Conduct a home inspection and repair any problems. This will speed up the selling process by not having to wait for an inspection and repairs down the road. It’ll also help identify any major problems that might cause the sale to fall through later. Getting a sense of what homes like yours in the area sell for is very important to pricing to sell quickly. Many home sellers go for a price slightly higher than what they wish to achieve because many offers are for a bit less than the asking price. Hedging your bets while pricing reasonably can help increase the chances of a smooth sale. For all your realty needs check out My Triangle Homes for information. I am digital media expert who happens to sell real estate. I don’t just list a home for sale, I painstakingly showcase it to the ideal home buyers and expertly manage the entire process. As a Buyer's Agent for both resale and new construction, my job is to represent YOUR best interests on the purchase of a home. If you are ready to buy or sell a home, call me at 919-616-0219.